When there is a will, there is a way, this shows clearly how conviction and determination makes the way easier. Because when you want to attain something that surely will come about if you try hard enough. Every other person is earning his livelihood, what makes them different is the way they do it all with their mind and heart. You know when you put your soul into your creativity it becomes special and something stunning. A thing coming out from the walls of your heart is nevertheless greater and way too magical. Therefore writers, poets and painters do it with their heart, heart never lies, and it holds wild, violent and all peaceful scenarios that are needed to make a masterpiece. Designers are the artists who are always keeping their eyes open, and trying out new techniques to get the fulfilling results in the long run. I know there are still people who work only for money, who stereotype the designs, who plagiarized the works already done by the artists with certain changes, but would that even make sense? When you cannot bring your own originality, when you don’t believe in inventiveness, you can better keep the business off and take a power nap. Because already the competition is getting higher, there are many leading brands and organization producing epic stuff, why would someone pay you a look or a dollar? Advertising is the key to get the consumers’ attention. Whether it be road side billboard, a flyer or a pamphlet, the more an advertisement is designed beautifully the more chances it will produce to get across the passerby. 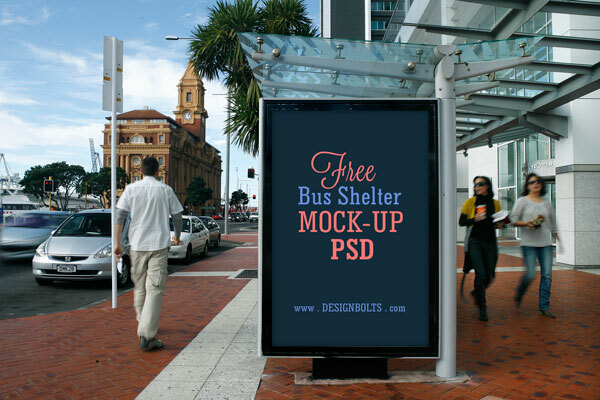 Today I designed 2 free bus shelter side panel outdoor advertising mock-ups that you can use in your project you are currently working on or eyeing up to work on later. 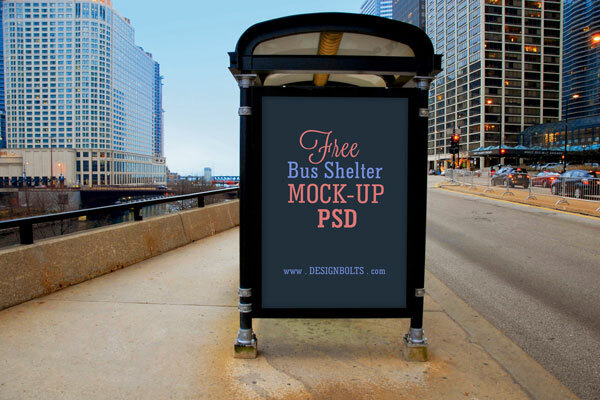 Insert in your own design element to show it off to your client that how his product/ brand will look on the bus shelter side panel. Do write to us and let us know what more we can possibly arrange! 2. Layers are hidden to decrease the size of file kindly unhide, ungroup and place your design on red colored layers. 3. Say thanks if you like. I’d like to use your bus mockup psd for the promotion of a book. I understand that the license is free for personal presentation use only, and I wonder if I could use your mockup for promoting my book online (i.e. on twitter, FB etc. )?